Land-surfing on a Biscuit ? I am a city girl, I only see the beach once a year at best and I’m not great with cold waters. I always dreamed about surfing the waves but when you live 2 hours away from the first cold and flat water … It’s not that easy. So let’s find another dream or … let’s surf without water? Let’s become a land-surfer! Yes, that’s what I want to be: a landsurfer!!! Now that I know my path, I need the proper board. I wanted to buy a Penny skate to cruise, but it’s only to cruise from one point to another, not much fun in it, … still looking until I found THE board!! It’s build by a family owned company called Hamboards, and cherry on the cake they are from Huntington Beach, California (the capital of the surf)! The Californian dream under your feet!! Pete, the father, is a firefighter, Gus is the oldest son and Don is the cousin taking care of the management and they build all together the best land-surfing boards of the market. The Hamboards range includes 5 products: the Classic, the Pinger, the Fish, the Pescadito and the Biscuit.
. pumping … again like on a real surf!! 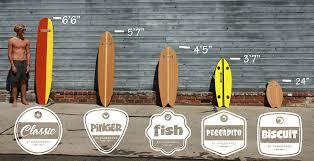 Check this Hamboards video on how to choose your board.
. I take the metro so it needs to fit under my arm … The Biscuit is for me! The California dream goes downtown! ← She knows the way and whispers in my ear!